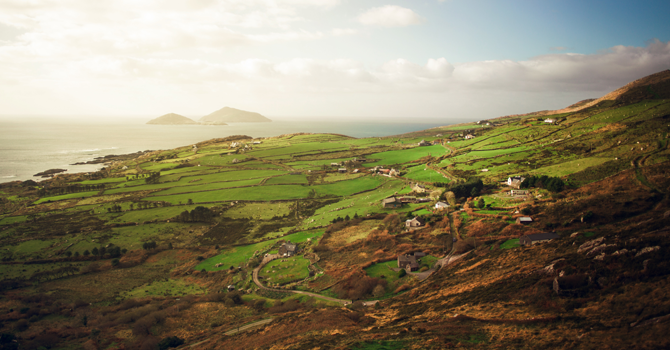 We all know that British-English and American-English are different in so many ways, but did you know that there are some interesting English terms that Irish people use differently from both the British and Americans. Below, I will talk about a few of them. “What’s the craic?” — You will hear this question every day and it basically means “what’s up?” You might also possibly hear this one; “The bar is packed and the craic is good.” These two examples tell us that craic is a term for news, gossip, fun, entertainment and enjoyable conversation. If you hear “Cheers!” when people are getting off the bus, don’t worry — they were not having a party on the bus. It surprised me the first time I heard it so I asked an Irish friend who said it was just how the Irish say thank you and have a nice day, or goodnight to the bus drivers. Interesting, isn’t it? When you ask an Irish friend to describe Irish people, it’s very likely that you would get the answer “weird”. The stereotype of Irish people is that they’re friendly, honest or hospitable, but it’s not how they describe themselves. I asked many Irish friends the same question and surprisingly, a lot of them used the word “weird” and thought they had a “weird sense of humour”. Have you noticed how your Irish friends answer “how are you?” with the term “Grand”? It basically means okay or sometimes great, depending on the tone and situation. I’m single but I have heard many strangers on the street call me “my love” — Isn’t it so funny? When you hear a stranger call you ‘my love’ and tell you that you can go first or that you’re are welcome — don’t panic — It’s just how lovely Irish people talk. It’s very similar to how Americans use “my dear” or “sweetie”. It’s most commonly used by sweet elderly people and by guys to young girls. Make sure you don’t use it the wrong way!